As I sat my exam on Tuesday, I’ve got a lot more time for this blog, and I would like to try an experiment in reader participation. Every month or so I’ll nominate a book which a few of us can read and then comment upon. A bit like a book club, but without the red wine or sexual tension. Nothing too difficult, and obviously I’m very open to suggestions. 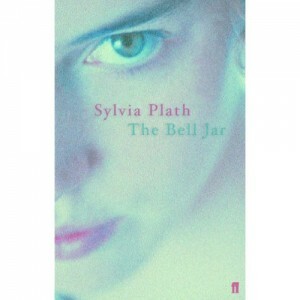 This month I thought that we could start with The Bell Jar by Sylvia Plath. I read this about ten years ago and loved it beyond reason; this was before I became a psychiatrist so I’m interested to know what I think of it now. In brief, it’s an autobiographical novel of a young woman who, about when about to break into the world of writing, has a mental breakdown. The real story is well known and Plath committed suicide a month after its publication. It occurs to me that people might think that I’m doing this to encourage people to buy books through this site. Of course you can, but worldcat lets you know which libraries have a copy of the book near to you. This entry was posted on Thursday, January 15th, 2009 at 9:30 pm	and is filed under Books Films Television, Misc., Uncategorized. You can follow any responses to this entry through the RSS 2.0 feed. You can leave a response, or trackback from your own site. I’ll have to sit this one out. please subject a “properly” from the above post. I hope you don’t tolerate that kind of carelessness from your nurses. I’ve already read it but I’ll read it again because it was “great”, and I am a stereotypical angst ridden bookworm. I don’t think I’m supposed to use the word great for literature, but can’t think of an alternative word without sounding revoltingly pretentious. Well, at the risk of howls of protest and accusations of self-promotion, I’m goiing to suggest my own book, Writing Therapy. It can be borrowed from the library but – if you do buy – 10% of the royalties go to the charity ‘Young Minds’! I’d like to join, if it’s not too late. I’ll go and see if my library has a copy. Glad you have more time now to work on this website. I come here often and enjoy your posts very much. I just read this book last year–it was during one of the more difficult periods of the past couple of years. I succumbed to this urge to steal it from the bookstore where I had begun reading it, but I returned it a couple of weeks later after stewing about it. I wonder if I would have said so if I hadn’t returned it. I wonder how practical/good/smart it is to read things like this when I am at my worst. It was the same sort of feeling I got when a psychiatrist recommended that I read *Darkness Invisible* at the time I was feeling most suicidal. It’s comforting, it’s validating, but, dangerously, it can be validating. I have finally gotten around to a follow up post to this one. Your opinions on The Bell Jar are very welcome! I had a similar idea to this, but wanted to do it LIVE: http://londonpsychobookclub.blogspot.com/. I even put up a poster at Karnac (it’s probably still there for all I know). The idea never really took off with my fellow mental-health trainees. Still not sure why….Perhaps an unfortunate, pun-y/puny name for the club?